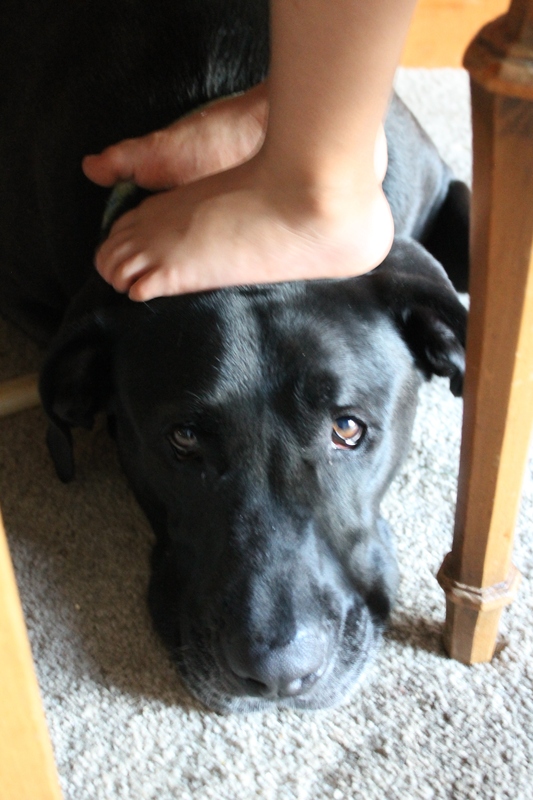 Someone is all to happy to be a little boy’s footrest. I love this dog (and the little boy). I can’t say I love my iPad. It’s a lifeless device. But I do appreciate its usefulness and I take it with me to work, too. I ditched my smartphone. Yep, you read that right. After using one through the school lunch project and the two years since, I went cold turkey. It was a financial decision. Last year was rough. A bunch of things hit us all at once: buying a fixer-upper, leaving my job, no one hiring a pregnant school-lunch reformer, having a baby, having medical bills, an unpaid maternity leave… I couldn’t justify having access to Google at all times, even in my car. I realized that I really didn’t need to check Facebook at every stoplight. So I downgraded to a “dumb” phone. It was a brilliant move. I’m no longer bothered by email notifications interrupting my thought processes during the day. I check my wifi-only iPad at home and at work for emails when I want to. No email is important enough to need immediate attention. I enjoy being able to knock out several email in a couple minutes when I choose to. I check Facebook and Twitter on the iPad in the kitchen when I get home from work. I’m actually not missing anything. I really like a regular phone. 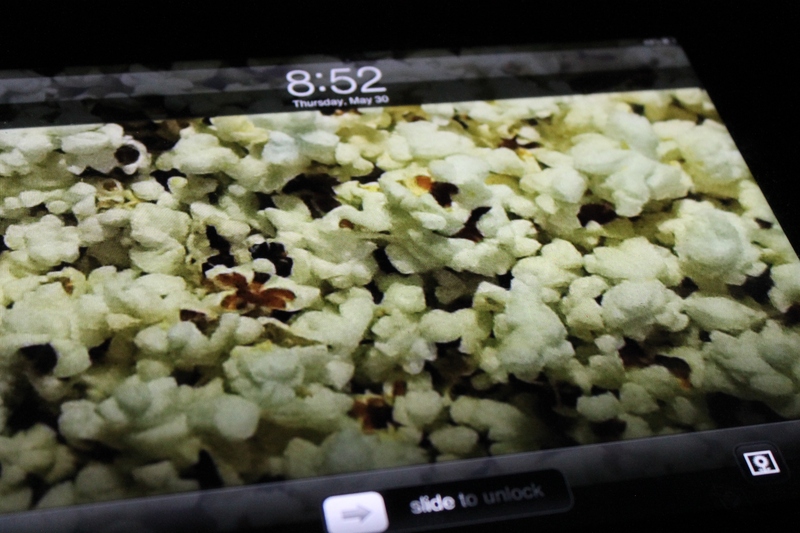 The iPad does everything my smartphone used to do for me. However, I most likely will go back to having a smartphone next year. But I won’t load notifications on it, that’s for sure. This photo was a bit hard to take because somebody is going through a stage. Here I cannot put Daniel down without tears because he wants to be held all the time. Fortunately, that is not a problem for me. I mean, I’m away from him all day so I just want to get my hands on him when I get home. These are definitely appropriate photos for me at this moment. Hi, I’m Sarah. 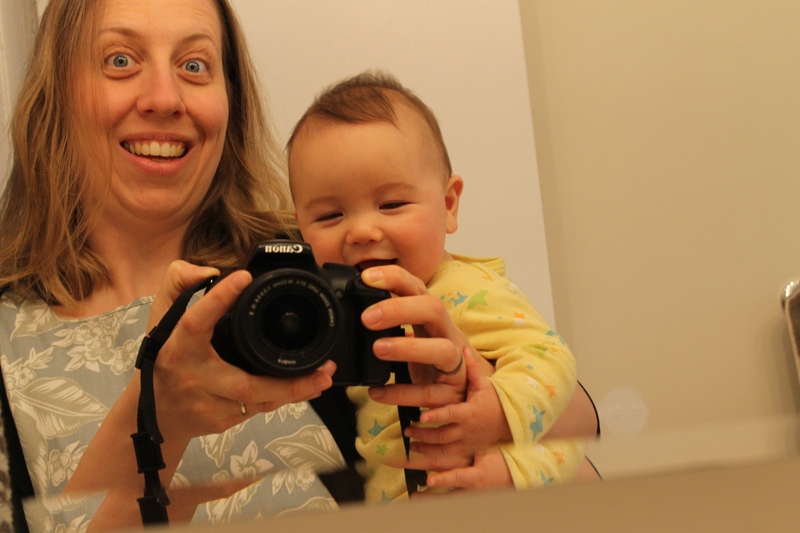 I’m a little bit crazy, not sleeping well, and I almost always have a baby on my hip. 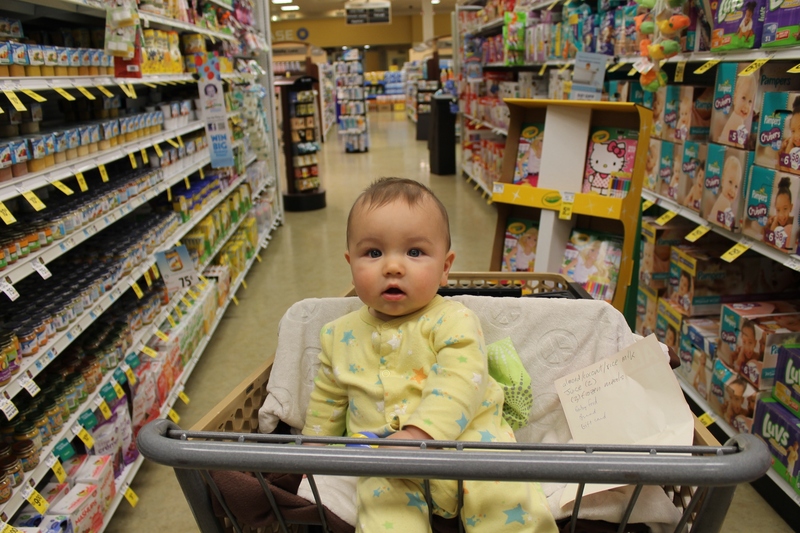 That’s my baby in the baby aisle. There’s so much stimulation at the grocery store that this little guy fell asleep as soon as we got into the car. A riot of color for him! He’s six months old and has started eating solid food this month. I feed him lots of different things including the traditional stuff like rice cereal and jarred peas, carrots, and sweet potato and then fresh food including bananas, avocado, apple, and melon. I swore I would make all my food this time around, but I was worried about the super chunky texture of my homemade food for his first experience. He’s got to navigate all this new stuff eating from a spoon, a different taste, and a different temperature — I figured I’ve give him a smooth texture. We’ll get there this summer. Whoops, I didn’t have a chance to get this shot on Friday. I guess I could have set my camera down on the ground for the picture, but with a four-year-old running around, that’s kind of risky. 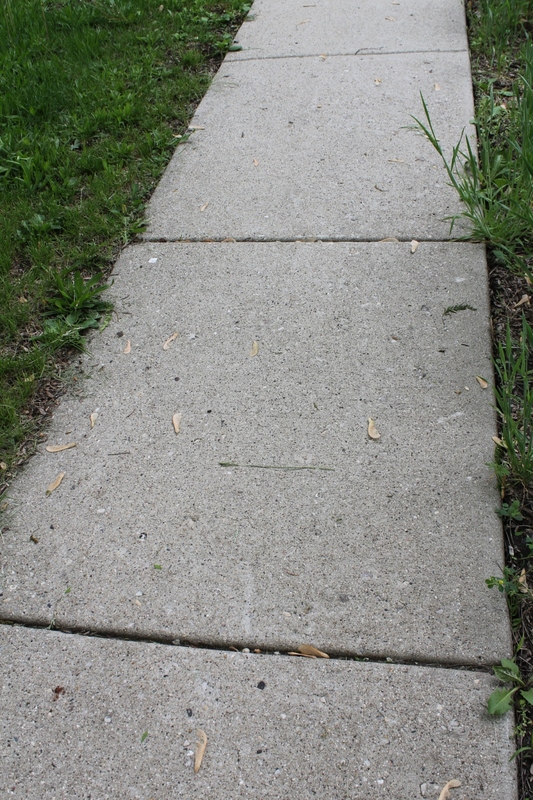 So a photo of the actual sidewalk will have to do! Tonight I made sloppy joes for dinner (here’s the recipe I use — so easy). I knew that I would not be able to get a good shot of that. C’mon, you know what it could look like. 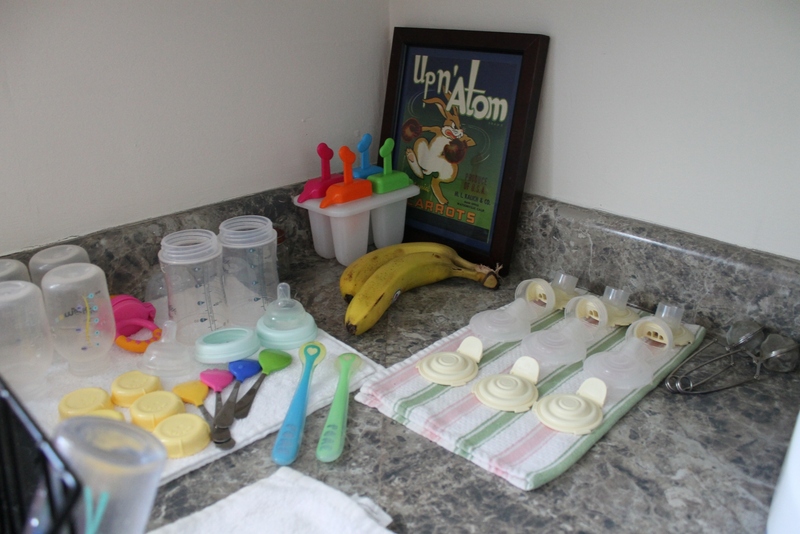 So I’m sending a shot of the clutter baby food prep area by the sink. This is where the magic happens. It ain’t pretty, but it does feed someone special the good stuff. 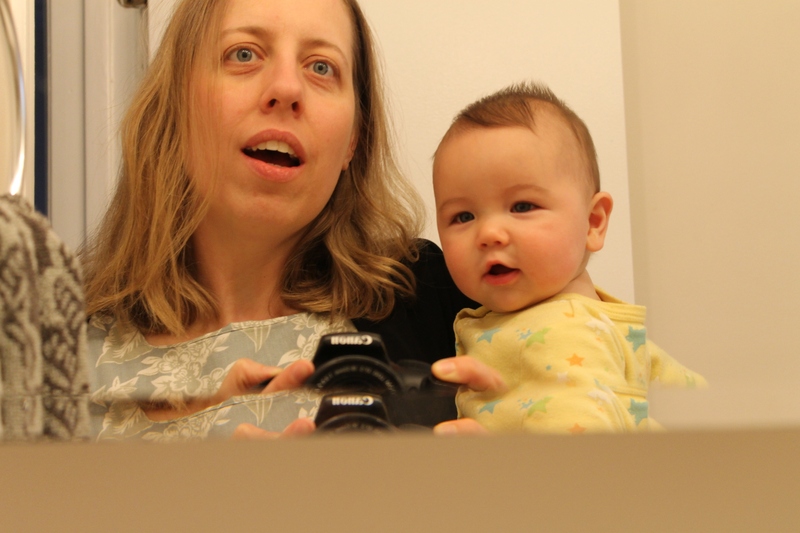 I pump at work and so our home-based caregiver bottle feeds Daniel while I’m away. Daniel has started to eat solid food and even though it was fun at first, I’m reminded that it is work. It’s another to-do item on my list, which is long some days. 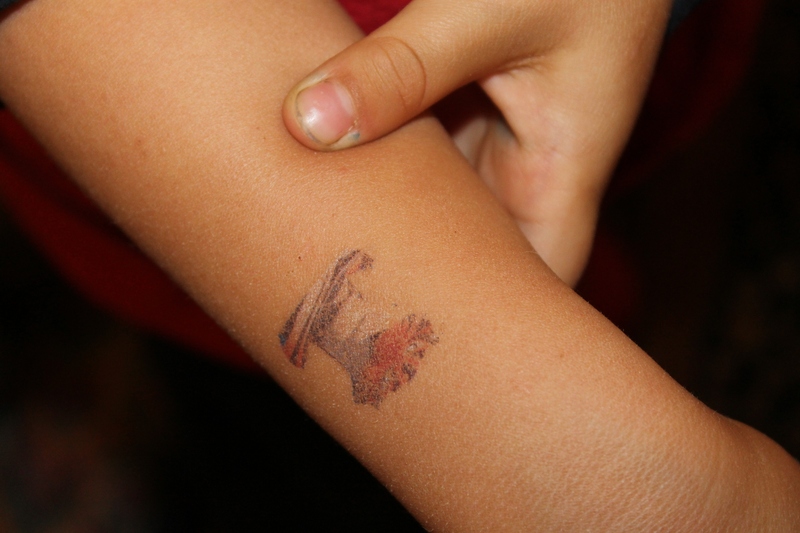 Update 5/27: Okay, my son got a temporary tattoo that is now fading. I don’t have a tattoo. No one I know has one either. I wasn’t about to ask any of my coworkers, “Do you have a tattoo?” I don’t want to know the answer — and can you imagine if I followed up with, “Can I take a picture of it?” Yep, that was not going to happen. So. I guess I’ve been stumped! The only action I care to capture. They keep me running and moving and so very happy. 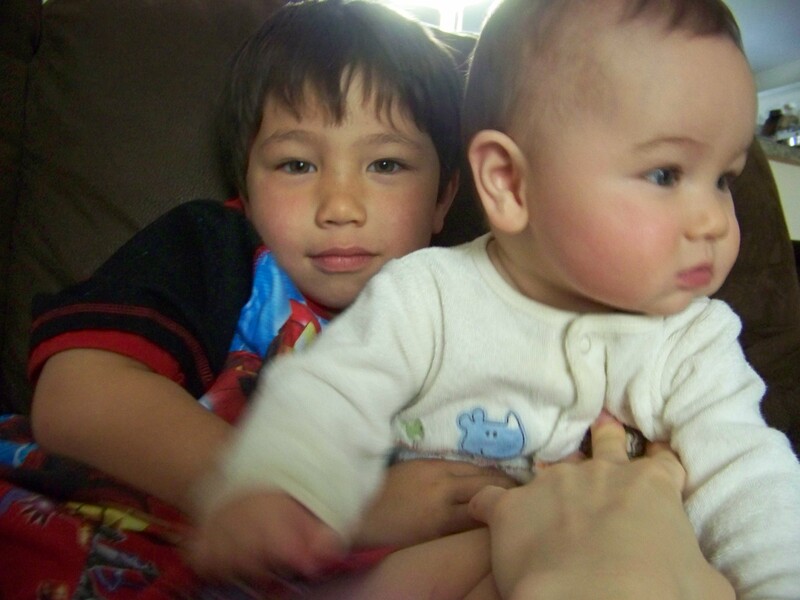 My boys are my everything.